Billy Lee Rice, 77, passed away October 15th at his home in Conover, NC. Born on October 19, 1940 in Lancaster, OH, he was the son of the late Robert and Dorothy Trusler Rice. Bill was best known for his love of rabbits. 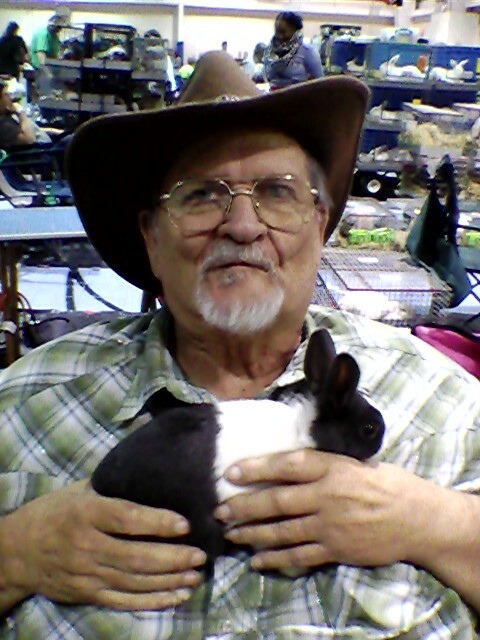 He was a licensed American Rabbit Breeders Association judge and judged shows across the United States and Canada. In his career he was the President of many local and National clubs. By profession he was a glazier and past owner of B&J Glass Co. Bill was a member of Eastside Baptist Church. Those left to cherish his memory are his wife, Lena Sue Rice, his daughter, Tonya Phillips and her husband David of Prospect, OH, his son Billy Rice and wife Annette of Zanesville, OH, son Tony Rice and wife Tammy of Conover, NC, daughter Christina Rice Perez and husband Nelson of Ocala, FL, and daughter Theresa Rice of Bennoit, SC. His two brothers, Robin and wife Sarah and Daniel, both of Ohio, and a sister, Laura Gantt and her husband David. His beloved grandchildren, William and Michael Calloway, Patricia Setzer, Jacob Rice, Kelsey Rice, Elia Vazquez, Elizabeth Setzer, eight great grandchildren, and his faithful Diabetic Alert Service Dog, Trixie. Bill’s memorial service will be held at 2:00 pm on Saturday, Oct 20th at Eastside Baptist Church, 725 E 11th St, Newton, NC 29658. Condolences can be sent to the family at P.O. Box 112, Newton, NC 28658. Please sign the online guestbook at www.jenkinsfuneralhome.net. The Rice family has entrusted arrangements to Jenkins Funeral Home and Cremation Service in Newton 828-464-1555.